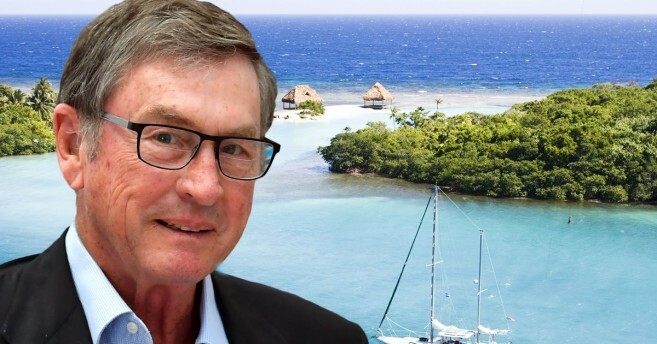 British billionaire Lord Michael Ashcroft is once again in the headlines after being linked to another tax evasion scheme dubbed ‘Paradise Papers.’ Over 13.5 million leaked files reveal the offshore activities of some of the world’s richest, most powerful people, and names Ashcroft for major tax-evasion in the United Kingdom (UK) after he listed Belize as his permanent residence. The British magnate has been enjoying tax-free benefits despite pledging to give up his ‘non-domiciled’ or ‘non-dom ‘ status, which under British law is a person living in the UK, but considered a resident in another country, with significant tax advantage for the wealthy. When Ashcroft was confronted with these new allegations, he was quick to deny them and has since abstained from further commenting on the matter. Ashcroft has dual citizenship as a British-Belizean, and among other world leaders was named in the Panama Papers, in a large 2016 tax evasion scandal. Belize was named as one of the countries used to hide monies, and Ashcroft was listed as the connection between Belize and a Panamanian Law Firm called ‘Mossack Fonseca.’ The documents exposed several persons involved in bribery, arms deals, tax evasion, financial fraud and drug trafficking. The leaked documentation further explained that Ashcroft, through one of his companies in Belize called Belize Corporate Services, began using Mossack Fonseca to provide shell corporations for its clients in 2006. Ashcroft, through a representative, denied any involvement with the Firm and stated that the events described in the documents were falsified and never happened. In September of this year, during a conference of the Conservative Party, for which he used to be the Deputy Chairman in the UK, Ashcroft was confronted by a reporter of the British Broadcasting Corporation (BBC). The journalist, who is part of BBC’s investigative series Panorama, tried to question Ashcroft about the Paradise Papers, and as well as his non-domiciled status, but he refused to comment. In fact, when the reporter set chase, Ashcroft fled to a restroom and hid. Later he tweeted that he was not hiding, but had just gone in to use the restroom. ‘Paradise Papers’ reveals that the billionaire, worth an estimated $1.6 billion has been avoiding paying taxes despite the British Parliament’s efforts to make its members pay their full share. Ashcroft, who is a donor of the Conservative Party, domiciled in Belize for tax purposes when it was wildly believed he had given up his non-dom status to pay tax. Non-doms are only taxed for their income in the UK, thus, the 71-year-old business tycoon is believed to be hiding his fortune offshore. While he was a member of House of Lords, prior to his resignation in 2015, it appears that he had stopped receiving payments from his offshore companies. Due to this, there was no applicable tax according to one of his advisers. However, after his resignation, he sold shares worth $11.2 million Pounds. If he had been a Member of Parliament, Ashcroft would have been liable for capital gains tax on any profits from the sale. Ashcroft was also being treated as a non-dom and could legally avoid taxes. It is being speculated by political journalists in the UK that the revelations in the Paradise Papers could cause major political chaos. The matter raises huge questions not just about the Conservatives, but also the House of Lords.